SF co-authored 32 publications in international peer reviewed journals (> 300 citations) and 1 book chapter (as correspondent author). She is the first author in about 55% of the publications and the corresponding author in 20 % publications. SF has given 7 oral communications and co-authored 28 posters in international and national congresses. SF is the first author of a manuscript concerning the application of Raman imaging to textiles fibres characterization that was recognised by the WITec Paper Award-Silver 2017, for innovative applications of Raman confocal microscopy. - In her first paper as correspondent author, Fateixa et al. have described the application of SERS to the development of gelatine formulations of potential interest for pesticides release in soils. (Fateixa et al. Analyst 140 (2015) 1693). - Fateixa et al. have demonstrated for the first time that Raman imaging together with SERS can be a useful tool to monitor textile dyeing. (Fateixa et al. J. Raman Spectrosc. 47 (2016) 1239). This paper was the result of her research activity and the complementary work of a master's student who she fully co-oriented, and her thesis was successfully defended in July 2015. -This year, Fateixa et al. have developed a general method to fabricate highly efficient substrates combining Ag/LCP with filter membranes for the extraction/SERS detection of pesticides. (Fateixa et al. Talanta 182 (2018) 558). More recently, Fateixa et al. have demonstrated that by employing both Raman imaging coupled with SERS analysis, not only the SERS substrate fabrication can be optimized but also lower detection limits can be achieved for the detection of water pollutants such as crystal violet. (Fateixa et al. ACS Omega 3 (2018) 4331). SF is currently a post-doctoral research fellow (2014 – up to date, FCT grant 6 years) at the University of Aveiro (UA) and CICECO- Aveiro Institute of Materials. 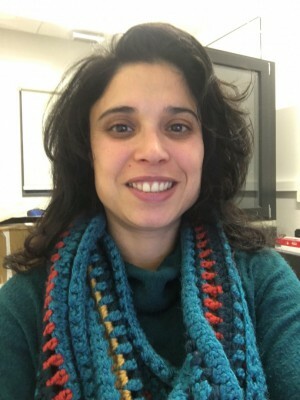 Following her doctoral degree, whose research activities were mainly directed to the development of nanostructured materials for SERS, SF took advantage of this formation and has developed an expertise on the use of non-trivial Raman methods for nanoscale characterization and analytical chemistry. 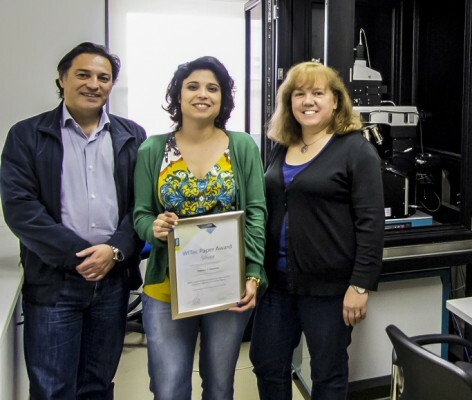 In particular, she has been a pivotal researcher at CICECO in Raman imaging methods, as the main operator of the first Raman confocal-AFM microscope in Portugal. In this regards, it should be highlighted that this infrastructure has provided many services, internal and external to the University, with her direct involvement in these activities, both at the technical assistance level and, as part of research planning and results interpretation. In this context, SF has also supervised a master student and was responsible for the training of four graduate students. Other characterization techniques used autonomously in her research activity, include powder X-ray powder diffraction and scanning electron microscopy. SF has great experience in nanomaterials synthesis, as attested by the fact that in most of her publications the materials samples were obtained by herself. 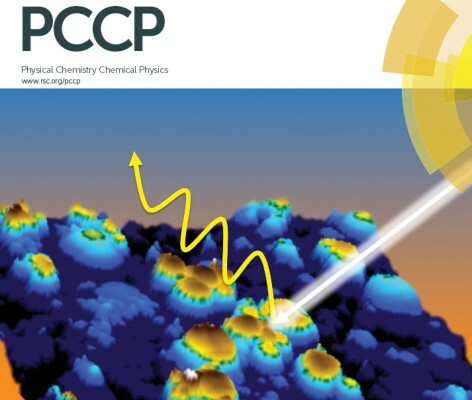 SF has participated in one funded research project and was a member of the organising committee of the 8th Inorganic Chemistry Conference (Portugal, 2009). SF co-authored 26 publications in international peer reviewed journals (263 citations) and 1 book chapter (as correspondent author). 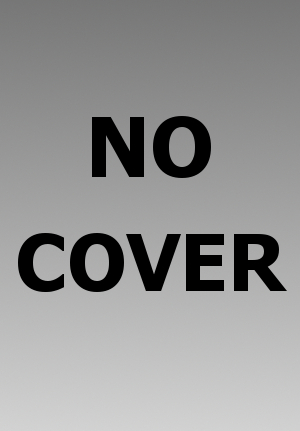 She is the first author in about 55% of the publications and the corresponding author in 20 % publications. SF has given 5 oral communications and co-authored 27 posters in international and national congresses. In the last 3 years, SF has peer reviewed 11 articles. SF is the first author of a manuscript concerning the application of Raman imaging to textiles fibres characterization that was recognised by the WITec Paper Award-Silver 2017, for innovative applications of Raman confocal microscopy. Her current research interests are mainly focused on the use of SERS (Surface Enhanced Raman Scattering), Raman imaging and TERS (Tip-Enhanced Raman Scattering) applied to nanoscale materials. She has been particularly keen in extending this knowledge to the development of analytical protocols applied to health and environmental applications. SF is an active laboratorial practitioner in the field of nanomaterials and inorganic synthesis. 2018, ACS OMEGA, 3, 4, 4331-4341. 2018, ACS OMEGA, 3, 9, 11184-11191. 2018, MATERIALS TODAY ENERGY, 9, 345-358.